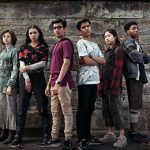 Production has kicked off in Melbourne on the second season of Matchbox Pictures’ Glitch, with directors Emma Freeman and Tony Krawitz at the helm. The shoot will continue on location around the city and in regional Victoria until the end of March. The first season of the zombie drama, created by Louise Fox (Broadchurch, Dead Europe) and Tony Ayres (The Slap, Cut Snake, Nowhere Boys), followed seven people who had inexplicably returned from the dead. The second season sees “the Risen” unravel the mystery of how and why they are back while contending with a lethal threat. In October it was announced that Netflix was coming on board as a production partner for the second season, along with Matchbox and the ABC. “We can’t wait for our audience to see where the story goes. We want to deliver on the promise of answers and keep the thrills and spills coming,” said Fox. Glitch’s returning line-up includes Patrick Brammall (Upper Middle Bogan, Offspring), Rodger Corser (Party Tricks, Rush), Emma Booth (Cloud Street, Jack Irish), Emily Barclay (Suburban Mayhem, Lou), Genevieve O’Reilly (Episodes, Star War Episode III), Andrew McFarlane (Devil’s Playground), Sean Keenan (Puberty Blues), Aaron McGrath (Jasper Jones) and Ned Dennehy (Sherlock Holmes). They’ll also be joined by new stars Rob Collins (Cleverman, The Wrong Girl), Luke Arnold (Never Tear Us Apart: The Untold Story of INXS, Black Sails) and Pernilla August (Star Wars, Fanny & Alexander). 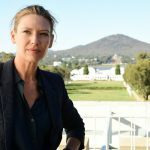 The 6 x 60 minute series will air on ABC TV in Australia and Netflix internationally. Glitch is a Matchbox Pictures production in association with ABC TV, Netflix and Film Victoria, and is distributed by NBCUniversal. It’s produced by Julie Eckersley, with EPs Ayres, Fox and Chris Oliver-Taylor. The ABC’s executive producers are Alastair McKinnon and Brett Sleigh.